Chavez made a huge mistake in Carabobo. 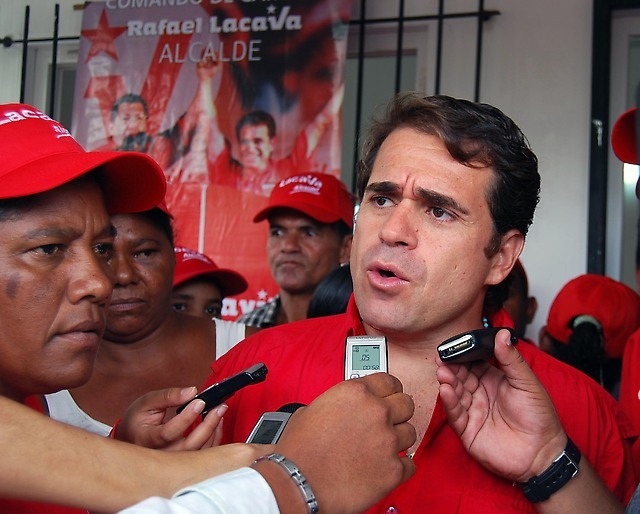 The PSUV mayor of Puerto Cabello, Rafael Lacava, has a real chance against Salas Feo and has something most Chavistas in local offices lack: a governing record. As someone with family in the area I can tell Lacava is held in higher regard than most Chavistas in around there. Choosing Ameliach of all people (I thought MP Saul Ortega had the biggest chance to be Chavismo’s candidate in Carabobo, because of his role on South Valencia) is the worst scenario possible. You know the guy: no charisma, no record except following Chavez’s orders and he was the president of the Parliament with the worst attendance record in history. Una joyita. The Chavez response in the speech says everything people need to know about what “Democracia participativa y protagonica” is really all about. This gave Capriles some opening in Puerto Cabello.